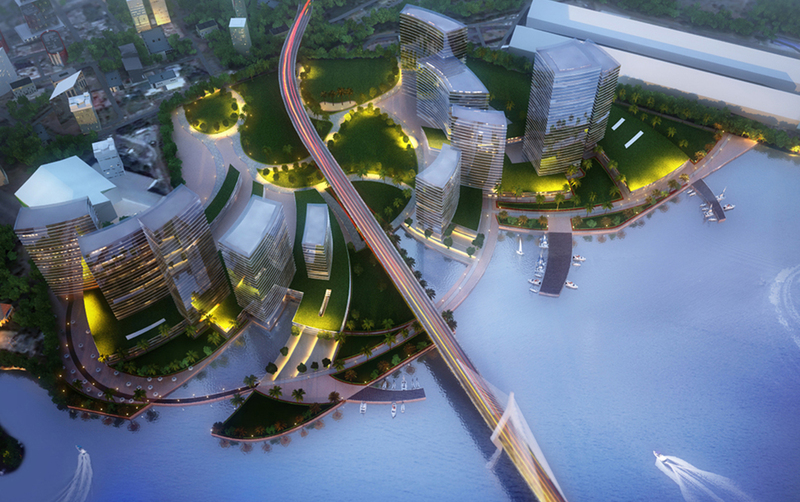 The site is situated on the North-Western coast of Mauritius, in the port area of Port Louis and is the only available site with deep water frontage in the main harbor. 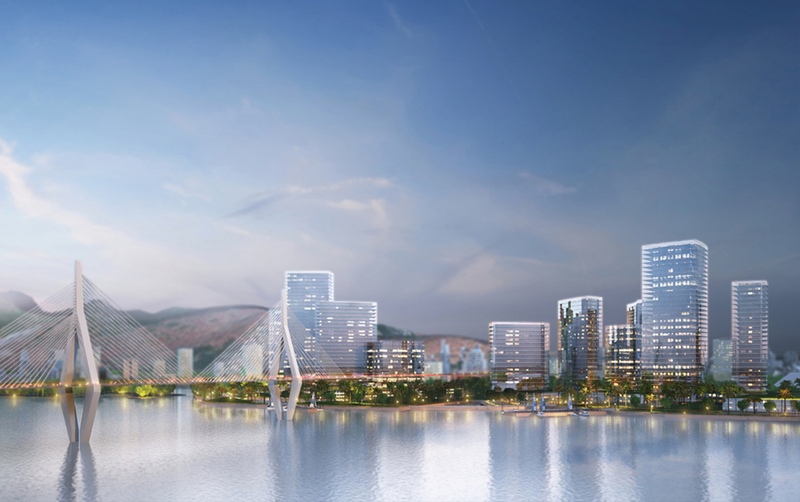 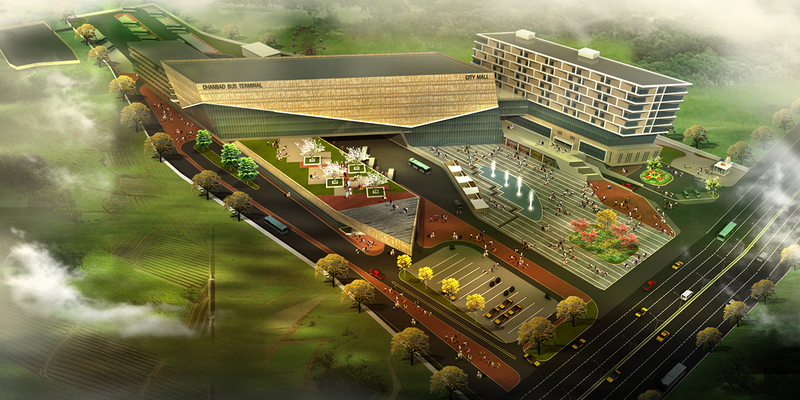 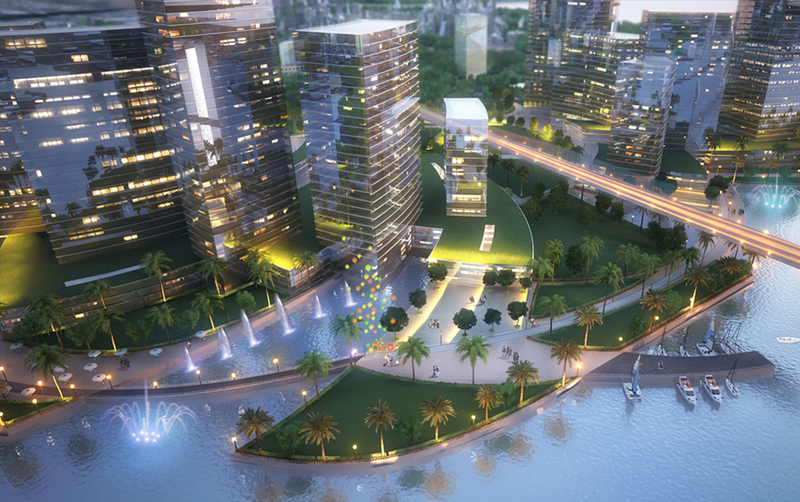 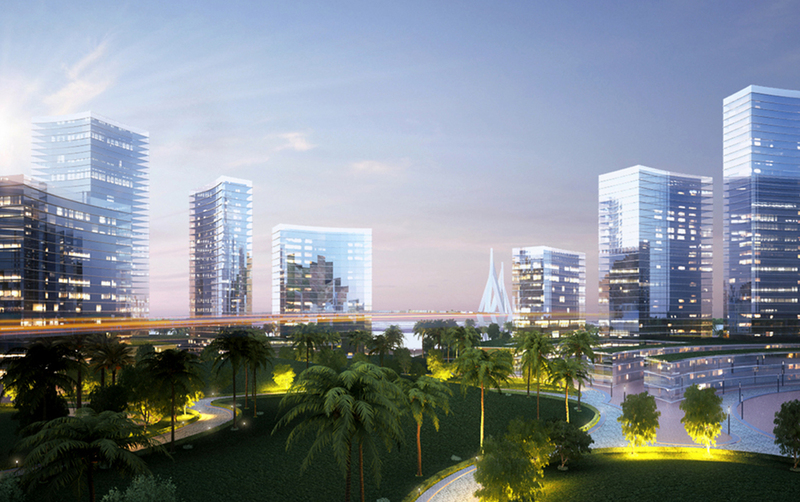 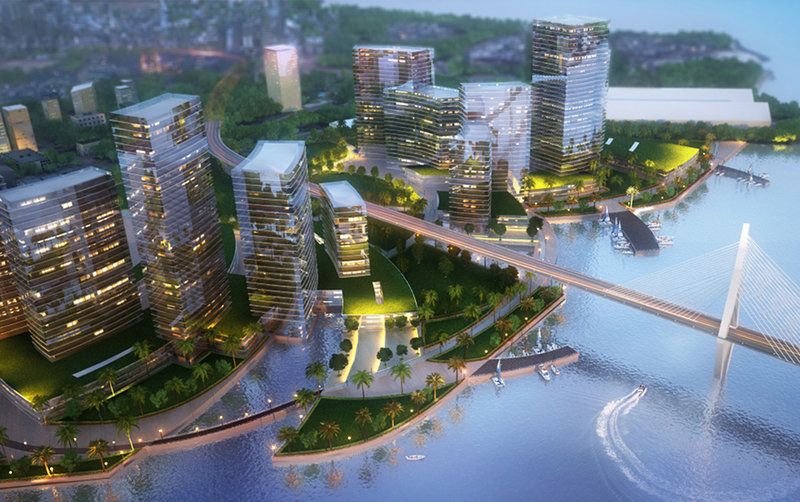 The design attempts to re-establish the ecological & cultural interface between Port Louis and its Waterfront, allowing the Ocean to shape the metropolis, giving rise to an world-class neighborhood. 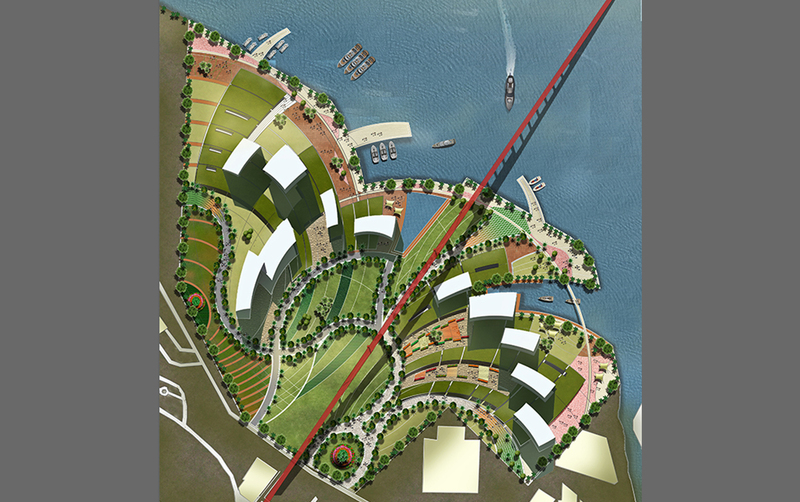 The aim of the design is to establish a new metropolitan precinct - an expression of a landscape-based urbanism, transforming the under-utilized waterfront site of Les Salines into a vibrant mixed-use development. 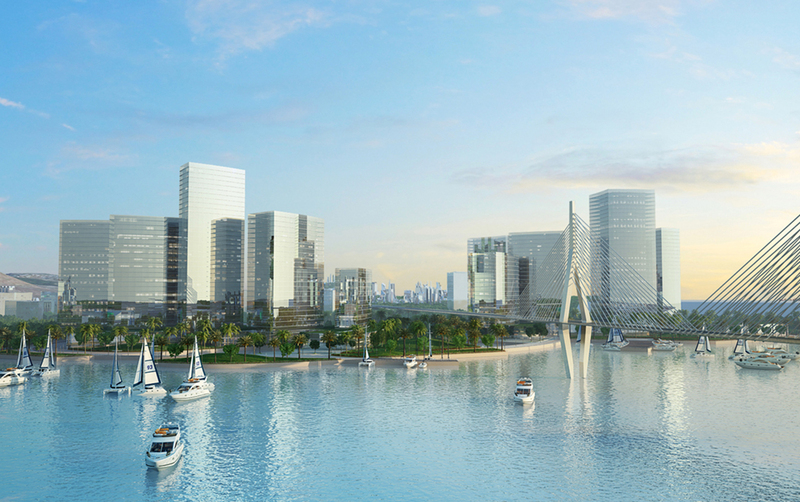 By establishing continuity, and extending the Caudan Waterfront Promenade, the project will bring together all aspects of life: CULTURE, LEARNING, SHOPPING, DINING, RELAXING, LIVING, WORKING AND HAVING FUN.